Singer 3229 brings some mixed feelings. It does lack some beginner friendly features, but it is not a bad performer either. 3229 Simple is a mechanical, beginners sewing machine. It hasn’t quite got popular in US, but it sells decently in countries like UK. The design is very simple (that’s why Singer calls it ‘Simple 3229’), there is nothing complicated about this machine. The machine features 29 built-in stitches including 6 Basic, 7 Stretch, 15 Decorative and a 4-step buttonhole. The stitch length and width can be adjusted by turning the dial. The maximum stitch width is 5mm. The interior heavy duty metal frame of Singer 3229 ensures stability and durability. An extra high presser foot lifter is provided for sewing multiple layers of fabric. The motor of this machine can deliver 750 stitches/min (which is on par with most of its competitors). The automatic reverse button lets you sew in reverse and reinforce stitches. To sew cuffs and collars, you can always convert the machine to free arm. A storage compartment is provided for storing all the accessories. The machine weighs 15 pounds, so you can carry it around without much difficulty. There is nothing fancy about Singer 3229. Everything is pretty straight forward and easy to understand. Yes, it lacks some basic features that a beginner will absolutely love (which we will talk about in the limitations section). The machine has a decent variety of stitches on board. Though the machine is lightweight, it is very stable at high speeds. There are no vibrations at all. There are no tension issues which used to be the case with many beginner machines. As far as the stitch quality is concerned, it is right up there with the best. 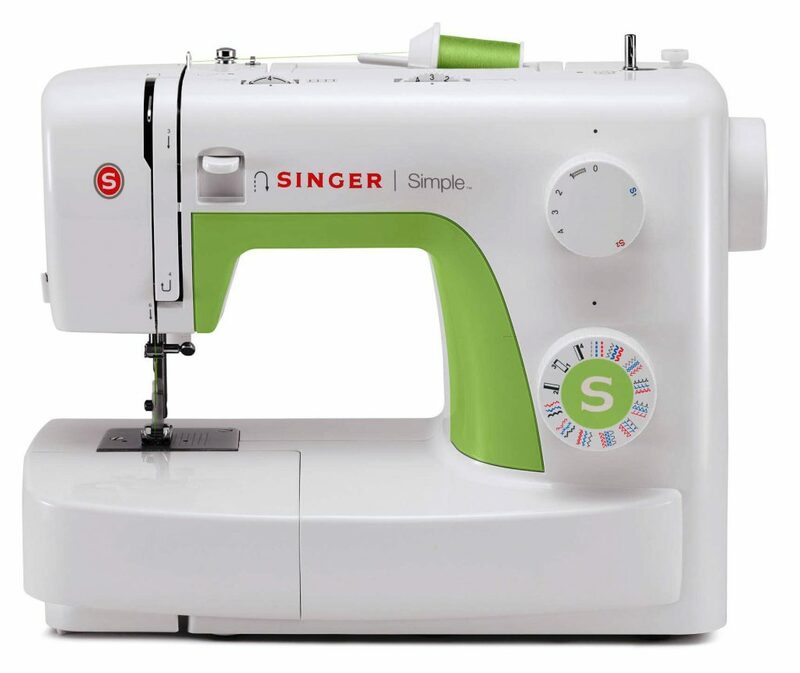 There are a few beginner friendly features that Singer 3229 misses out on. There is no automatic needle threader. An automatic needle threader is pretty much a default feature on even sub $100 machines nowadays. It saves eye strain quite a bit. There is no drop in bobbin, instead it is equipped with a side loading one. Now, it is not very easy for beginners to remove the side cover every time a bobbin change is required. There is no 1-step buttonhole. The ability to finish the buttonhole in a single step is way more easier than dealing with a 4-step buttonhole (it is commonsense). I have mixed feelings about Singer 3229. I would definitely go with this machine, if it had all the features I listed in the limitations section. The areas where Singer has cut the costs are pretty evident. But, what it lacks in features is more than made up by its excellent performance. Even then I don’t think, it is a value for money proposition (the price is a bit higher for my liking). If you have few more dollars in your pocket, you can consider Singer 7258 which is an advanced machine with excellent track record. It is the best Singer machine under $200 (I am not up selling here, it is a fact. That is the reason why 7258 won several awards).